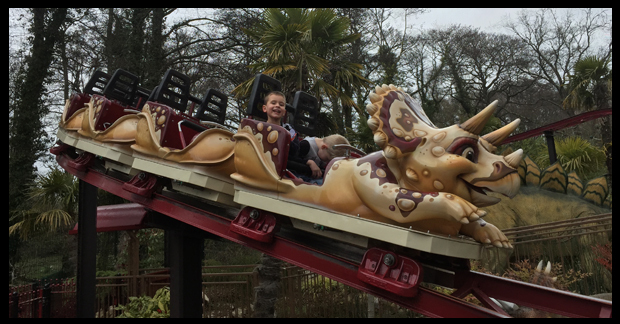 March 2018 saw us return to Paulton's Park, in Hampshire. 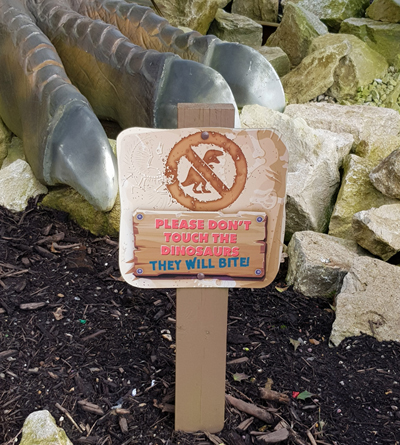 This is a fantastic theme park based in the South East of England and most well known for being home to Peppa Pig world. My son took one of his besties with him and being so much alike they headed straight for the Lost Kingdon to go on the hunt for dinosaurs. 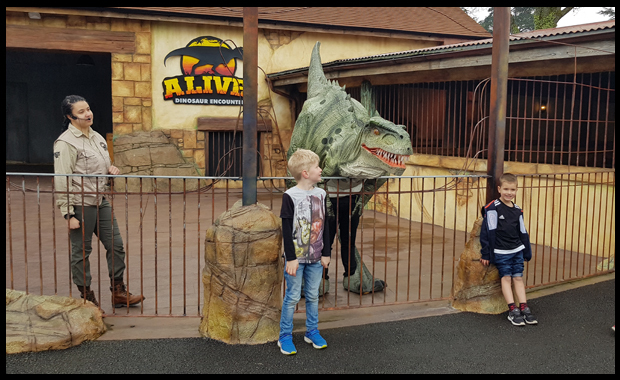 This is such a great section of the theme park, there are roller coasters, dinosaurs, games, a play area and very excited children who are 1.1 and 1.3 in metres meaning they are tall enough to go on all the rides! After visiting all the rides at least once, and the one pictured above 7 times!! Yes, these 2 went on that ride seven times because it was the first ride they were allowed to go on on their own! 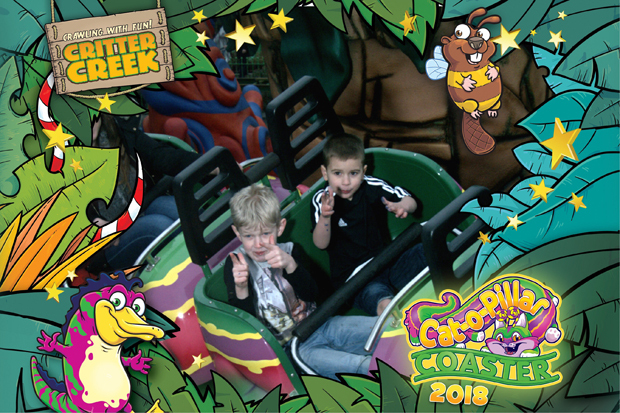 So, yes, after trying out all the rides in the Lost Kingdom, we headed over to Critter Creek via the discovery trail, which meant the boys run off in front as it's a very clear fenced path. 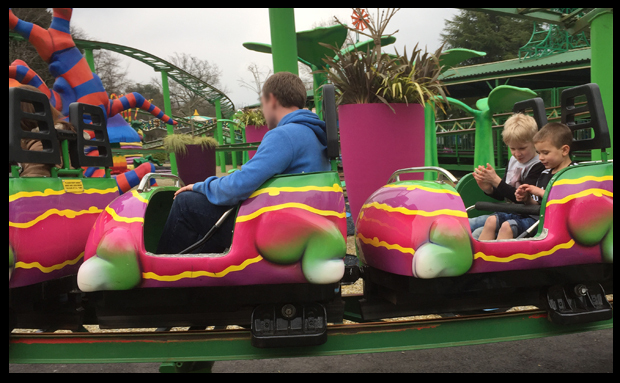 Very bright colourful rides for the boys to go on, and again, several times round on this colourful cat! After the rides, we ventured into Beastie Burrows where there were creepy crawlies, which obviously all the boys loved! Carrying on with the creature theme, we headed on to see the tortoises before stopping for something to eat under the canopy. A quick pit stop through Pippa Pig World, and boy was that area busy! 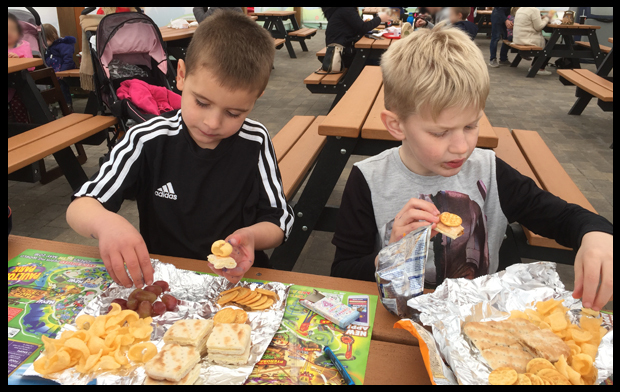 We headed down to Little Africa which is new for 2018. A must for all the family to visit. 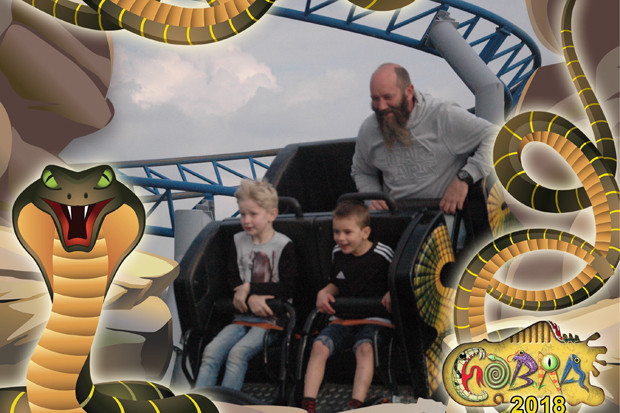 With time getting on, we headed over to the last rides of the day, the crazy Cobra ride (my least favourite!!) which saw the boys go round twice as they really are thrill seekers, and with that, the time was 5pm and we had to head home as the park was closing. None of us were really ready to go, the weather was dull but dry, but that didn't stop us having a most fantastic day, and we could have stayed another couple of hours and none of us would have been bored!